An unmarked entrance leads to this subterranean cocktail lounge with posh, dimly lit surrounds. 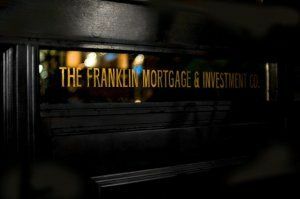 Channeling speakeasies of the Prohibition-era, The Franklin Mortgage & Investment Company has only one focus: making the best cocktails around. 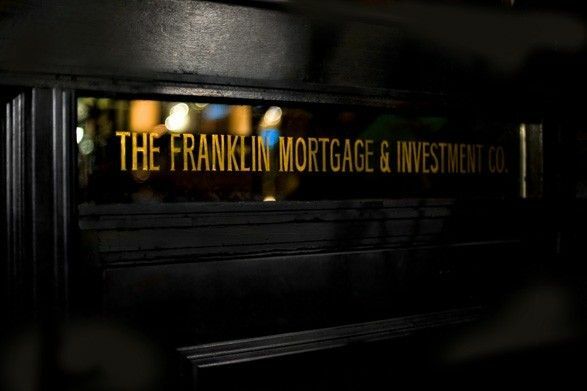 Named after the largest alcohol ring in the country during Prohibition, The Franklin Mortgage & Investment Company has garnered numerous awards including Bon Appétit’s Top 10 Best New Cocktail Bars, GQ’s Top 25 Cocktail Bars in America, Philadelphia Magazine’s Best Bar 2010 and was recently named the top bar in Philadelphia by Foobooz. Once you walk down the stairs to this unassuming drinking establishment at 18th and Chestnut Streets, you’ll enter a world where liquor is king.